How to petticoat hooks (corset hooks) work, and how to keep edwardian waistband lower in the front? I'm trying my hand at cosplay mid june. My boyfriend is dragging me to an anime convention for a whole weekend in june, location The Hague in the Netherlands. 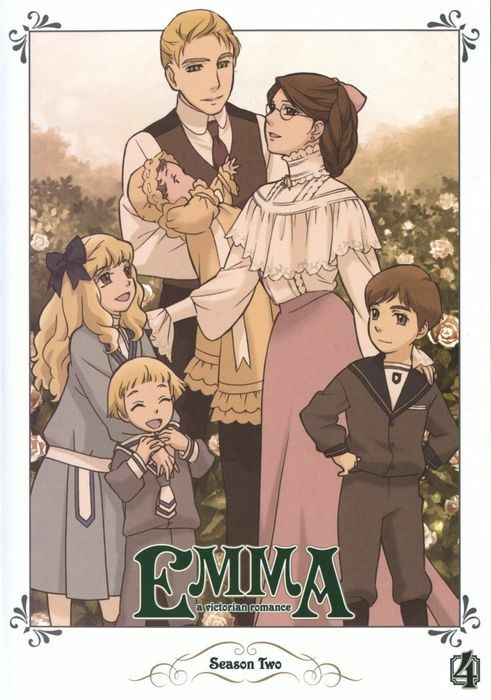 I have my eye on cosplaying Emma from "victorian romance emma", particularly her early edwardian outfit at the end of the series. That lead me a thought and two questions. I will probably need to keep the petticoat from riding up and twisting about, I saw petticoat hooks on the web but how do they work? And how do I keep my overskirt's waistband in the right position with the front lower than the back? Will it naturally follow the corset waistline (which is the correct one) or will it attempt to go horizontal and parallel to the ground? Busk Hook: An upside down "hook" found mostly on the busks of late 19th century corsets from France or French made corsets. The hook was used to anchor the waistbands of petticoats and other underwear down to prevent it from riding up and creating bulk at the waist. 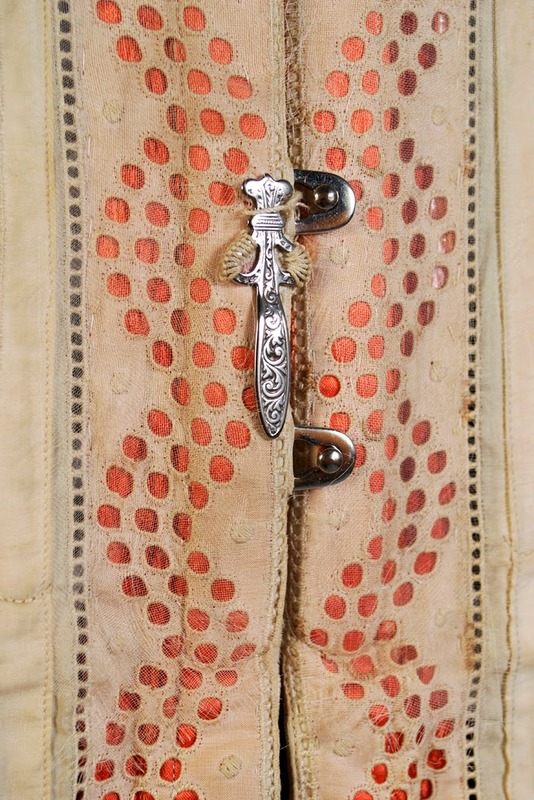 Another use for the busk hook was for those who tied the excess ends of the corset lace around their waist, to anchor it underneath the hook to stop it from digging in and wearing the fabric at the waist. -keeping bodices from riding up. But how do these hooks actually work in preventing petticoats from riding up though? The way I imagine it to work it can still easily ride up with simple movement. Was there an eye attached to the petticoat? Or an eyelet? Or a piece of string/ribbon which you tied to the hook? Or a ribbon/strap sewn onto the petticoat that you could hook onto the hook? I mean I could devise some mechanism that would help me keep the petticoat from riding up, but I am curious to know how they did it back then. And then there's the question if the waistband of the skirt in the cosplay picture would actually stay like that, with the front of the waistband lower than the back. The corset has that shape built in (and the waist tape is lower in front than in the back as well), but will the waistband of the skirt naturally follow that dip in the front and higher in the back or does it want to be horizontal (and ride up in front)? A foolproof way to make sure it all stayed in place is to install 4 hooks. 2 lower than the waist to keep the petticoat from riding up, and 2 at waist level to keep the skirt from moving up or down. But there's a shirtwaist/blouse underneath the skirt so I don't know how to achieve that. 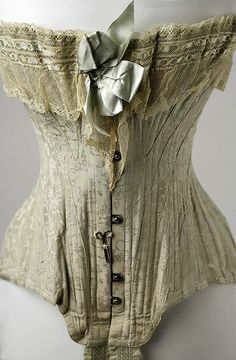 I have searched some sites that do historical costuming, but they often don't even get the right foundation (corset in particular) and that effects the overal shape in the end. And if they do I haven't seen the position of the waistband/waistline (lower in the front) in recreations like I see in photo's and illustrations of the era. I'm not saying all styles of that time (s-line, pouter pigeon front, huge backside) of women's dress had that waistline position, but if photographs on clothing being worn of the time is anything to go by the majority did. I'm kind of at a loss for now. I wonder if anyone here can think up a way these hooks worked and if anyone knows a website of a historical costumer who keeps to the silhouette and waistline of the day. I don't claim to be an expert on the period, I've only made a couple of outfits from it. It's not the hook that makes the front dip down like in your image. I've even read that many women exaggerated this stance as well to really achieve the "look"
The other key to all of this is the pidgeon front blouse. There's a ruffled corset cover worn over the corset, then the blouse over that is longer in the front in the back, further giving that illusion. A belt that dips down in the front too will help. Do you know anything about how the petticoat hook worked though? Just to keep the petticoat from riding up? Sadly I can't use a belt to help the illusion, the character doesn't wear one. Remember that period illustrations will always show the ideal form, not the real one. The ideal form is not reality - if you compare 1905-10 fashion plates with museum garments, they are almost unrecognizable as the same thing, but they are. Just like women of the 1830s actually did have shoulders, women of the 1900s actually did have spines. A lot of the shape is achieved with padding - a hip pad and a ruffled corset cover will give you a lot of oomph. This link is Jen Thompson/Festive Attyre's take on Natural Form, but she used a 1900s pattern for a hip pad. You can see how much difference the right underwear makes. The waistband will sit at the narrowest part of the body - even if that's on a slant. It can't go anywhere else: every other part is too wide. You do need to cut the skirt so it rises higher in back, otherwise it will hang funny. La Couturier Parisienne has some period skirt patterns. I highly, highly, highly recommend checking out a copy of the Edwardian Modiste by Francis Grimble - it's got period, scale patterns for every part of the outfit. Here's how to use scale patterns. If you don't want to fiddle with one-sized scale patterns, which can be intimidating, Truly Victorian has several options that look like they would work well for your cosplay. Start from the underwear, work up from there. You've got this. You slip the waistband of the petticoat under the corset hook. The hook is an inch long and it's all held down by other clothes. You're not going to be doing gymnastics - it's not going anywhere. You don't use the hook on the visible skirt. If you don't think the hook will hold, you can also put your petticoats on a yoke. That way the waist is one one-two layers thick and the floof happens further down. Do you know how the other type of hook worked? The hook you describe (the one I linked from bridges on the body) doesn't prevent the petticoat from moving from side to side (I have had that happen to me, but at the time it didn't matter since the petticoat was the same length and volume all way round). And if the petticoat rides up in the back and down in the front it will slip from under the hook and it's free to do whatever it wants. If the hook is flatter and parallel to the center front busk, it was to hook your garments to. To hold your blouse and skirt down with the strait front corsets of 1898ish through the teens. The fashionable posture of the early Edwardian era combined with the strait front corsets caused the skirts to ride up the corset front." I'm just curious how it worked, the hook in question is this http://www.agelesspatterns.com/images/1061.GIF just a normal hook as in "hook and eye". I can figure out how the long flat hook is used, but not the hook from "hook and eye". The hook part isn't long enough to slip something under and keep it there if you go for a normal stroll. I haven't bought any edwardian fashion/pattern books yet. A lot of them are on the waiting list. Regarding corset books I wanted to buy corsets and crinolines, but it currently clocks in at 94 euro without shipping. I will definitely revisit the option of buying it later. "I think you're overthinking this. Remember that period illustrations will always show the ideal form, not the real one. The ideal form is not reality - if you compare 1905-10 fashion plates with museum garments, they are almost unrecognizable as the same thing, but they are. " This is where I am going to partially disagree. Reason being it's not only illustrations that show the waistband lower in the front than in the back. I have seen photographs of actual women wearing dresses and skirts where you can see this. Whether it's due to posing or the underpinnings or both is secondary to the fact that that look isn't just something exclusive to illustrations/fashion plates. The problem with edwardian clothes in museums is that they are often (more often than not actually) put on normal dress forms (or if not modern dress forms, simply not s-bend shaped dress forms), and certainly almost never over underpinnings. I should know, I work at a museum that has a collection of period clothes. Sadly not any edwardian ones, but we do have fashions that are supposed to go over corsets. Putting them on the modern dummies makes them look way different than on the accompanying painting or photographs. Often clothes are shown in isolation, like an elaborate jacket without pants or anything else. Looking at photographs of clothes displayed in a museum gives you as much a warped image as only looking at fashion plates does. Where I agree with you is that fashion plates are not reality, they exaggerate nearly everything if not completely everything. The fashion world still does this, with "croquis", which reduces people to alien looking coathangers. It's also an easy way to get around the fact that a lot of people simply don't have the skills to draw an anatomically correct person. To make sure what dresses and clothes actually looked like on edwardian women you'd have to look at photographs of the time that show the clothes being worn by women. Better yet film of that time. The verdict is that the higher you go up society, the more the "dipped waistband in front look" is prevalent. "The waistband will sit at the narrowest part of the body - even if that's on a slant"
And if it wants to ride up a bit in the front, I'll think of something. I was just curious if they used any gadgets to keep everything in place back then. I already found a good skirt pattern at marquise.de and I'm just going to make a pattern for the blouse according to images from the anime. My normal way to work is to make a basic pattern that fits my body and to alter it (style wise) to copy the image. It's the way I learned it in school, it's a pretty effective method for garments that go over the torso. But I have to admit adjusting period patterns to size is fun. Thank you for the links, the pattern scaling one might come in handy. My usual method of scaling is very primitive, in school we used a grid to scale. By hand, on paper. I did intend to work from the underwear out, I mean it is the only reliable way I can imagine. Fair point about museum costumes. Sigh. Honestly, Corsets and Crinolines isn't my favorite, definitely don't spend $90 on it. It's only got two patterns that would be relevant for your costume - one 1901 S-bend (the 1908 corset pattern at the bottom of the marquise.de page I linked has much the same shape and is free - I've used it, it works if you're willing to fiddle a bit), and a later-Edwardian pattern from 1911 (this guy, side note: I wish Bridges on the Body was still posting). Jill Salen's Corsets skips that decade almost completely, she's just got a few ribbon corsets. Mandy Barrington's Stays and Corsets stops too early (also, she drafts all her patterns too tall. Got the book out of the library and definitely won't be buying it). Tragically, the Edwardian Modiste has corset covers but no corsets. Atelier Sylphe drafts patterns from her collection of antique corsets. There are some really cool ones in there and several are from the right period. They're a bit spendy but the quality is good. They are single-size patterns, so you need to be ready to fiddle. Here's the 1901 corset including the pattern, actually, so that saves you $90. Sorry - I woke up too early - no idea how the small hooks worked. Perhaps they were just intended for laces, not for holding petticoats down? The lace is under a lot of tension and presumably wouldn't slip out the way a heavy petticoat might do? ETA: If you're worried about petticoats escaping the hook, put them on a yoke. They'll be a lot more stable. I also found that pattern and saved it to my pc. I knew it was from corsets and crinolines, but to think it was the only early edwardian pattern in the book you have saved me a load of money. I didn't mean to be argumentative about the edwardian dipped waist in front, I just thought it was important to the look. And thanks a lot for the information about the other books that don't include edwardian corsets. I have my heart set on the atelier sylphe pattern. The edwardian modiste is still worth buying for the clothes. I think I have figured out how to secure all of my cosplay clothes into place. The petticoat on a yoke set lower than the waist of the corset, to keep it from moving sideways I can always tie it to something, make a flap on the back that loops around a rung of corset laces or secure it with a hand sewn "snap button". Plenty of options there. I will have to think of something that doesn't put too much strain on the corset, I don't want any hooks or buttons to rip off of it. The skirt and shirtwaist can be secured by the same hook, first shirtwaist and over it the skirt. Probably an handsewn eyelet or buttonhole in the shirtwaist to go on the hook, then the bottom of the inside of the waistband anchored to the hook (probably by tying a small band of fabric like a ribbon through it). This also prevents the shirtwaist from slipping off the hook. These are all things I can do after the garments are made. If I find everything stays where it should I won't bother with these additions. From what I know, those hooks on the front were to prevent petticoats from riding up. Often there would be a pair of hooks in the back as well. I've seen somewhere that there was a small hole, like a button hole, near the waistband on the center front of a petticoat. The hook was pulled through and the petticoat wasn't able to rise up or to move side to side. I forgot where I saw it, but I've seen it around somewhere. About your question of the outer skirt staying lower in front I have no idea. Maybe you can achieve this by adding a ribbon on the inside of the waistband and hook it under the hook as well, to keep it low. I recently watched this movie and loved the costumes. Thank you for the link, those costumes are beautiful. I was planning on doing some ribbon tied to hook contraption for the outer skirt. But first I want to try and see if it doesn't just stay in place without.